The Boltons go wayfaring through intriguing and less-travelled musical landscapes, out where the fences are few and far between. These intrepid explorers bring a wealth of influences from many years of folk, classical, jazz, acoustic and rock performances. Atmospheric violin and accordion in conversation with acoustic guitar and double-bass trace sparkling lines around memorable melodies, nuanced vocals and evocative lyrics. Tom Bolton (acoustic guitar and vocals) will be joined on stage with Peter Anderson (accordion), Reave Maloney (double-bass) and Emma Rodda (violin). 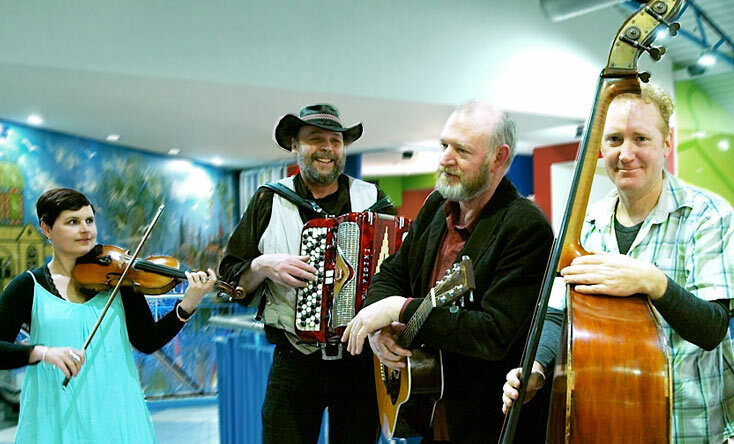 Selby Folk Club proudly supports the Dotted Line on Mountain District Radio every Wednesday night from 9-11pm. .